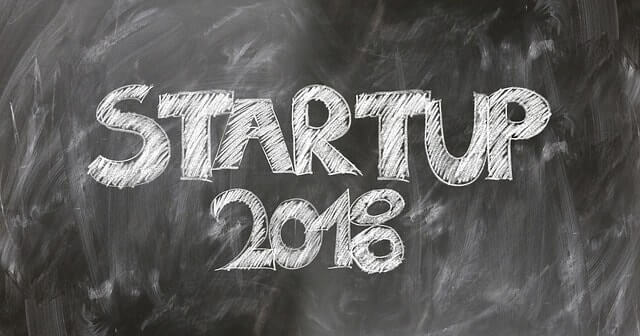 Here are some very exciting news that we want to bring to you regarding start-up visa program update 2018.When Start-Up Visa Program first launched in 2013, it was a novelty. It was announced as a business immigration program that didn’t require any minimum investment or minimum net worth. In other words, it means that if you have a good business idea, you might secure Canadian permanent residence for yourself and the members of your family. In March-April 2018, after an analysis was performed on the program’s performance, the Canadian government declared that it would remain a permanent item on the immigration menu. The program was deemed a success after it managed to attract talented entrepreneurs from all over the world and 3.75 million in funding from designated entities. The recent federal budget allocated 4.5 million to keep the program running for the next five years. It is expected that the program will become more applicant-friendly and easier to navigate. Demonstrate sufficient proficiency in English or French through standard testing (equal to Canadian Language Benchmark level 5). At first, you should prepare a careful and detailed business plan, describing your venture, and how you plan to make it successful. You should then send the business plan to more than 50 designated Canadian entities, including venture capital funds, angel investor groups and Canadian business incubator programs. To qualify for Canadian PR under this program, you must also secure at least $75,000 from angel investors or $200,000 from venture capital funds. If your start-up is supported by a business incubator program, there is no minimum funding requirement. After you have obtained the support of designated entities, they are required to issue a letter of support to you and submit a commitment letter to the authorities. You must submit the letter of support from a Canadian entity to IRCC. At the final stage, IRCC will evaluate your application. They will check if you have fulfilled minimum funding requirements and if you have submitted sufficient proof of funds to support yourself and your family members while you are setting up your business in Canada. How is Start-Up Visa Program in Canada different from the other countries? Canada is not the only country to run this kind of program. Yet, it has its upsides as compared to other countries. Other countries usually provide permanent residence only when the venture has succeeded. The time frames for such success are usually narrow. In contrast, Canada will give you permanent residence as long as you fulfill the above requirements. Your permanent residence will not be taken away from you if the venture fails. It is in your own best interests to make sure that your venture brings profit and is a success. Canadian Start-Up Visa Program aims to attract global entrepreneurial talent, expand startup geography, create jobs for Canadians, boost the country’s economy, and turn it into a robust leader in cutting-edge state-of-the-art technologies. Keep this in mind, as you prepare your business plan. Read more about Start-Up Visa Canada. Please write to us or call +1 (416) 661-4487 to learn how we can help in Start-Up Visa. Subscribe to our mailing list to receive more start-up visa program update. 2008 I submitted to Canada with program Self Employee. but It was refuse. After interviewing at Hon Kong 2 years, I had to explain more detail about my Tax, Prudential in Viet Nam helped me to sent them some letter to explain about my tax, because in Viet Nam, company had to submit tax for worker, ( life insurance agency). Unlucky to me some more months later I got information that I was refused. But I really want to move our business to Canada so much. So I find out Start up visa program so good for my recently business. After reading all the eligibility, I have all .I finished Pedagogy University 2001, English department. Teaching 10 year, during teaching I worked for prudential group. 2008 I opened my own company. I managed it to now. .
2014 I opened branch, small supplement food factory, in HCMC, viet Nam. It is good, after 3 years, I recognized that the vietnamese mentality that they really like import supplement. foor, especial from Canada, America, or Europe. The same quality, but the price is 10 times compare to local products, even more up to 20, 30 times. I had 3 distributed and 10 wholesales in Viet Nam. we had 10 products, but main products are Spirulina algae , Glucosamine, Liver detoxify, Ginkobiola, Stomach. they are good quality, our customers using with good coment. Moreover, my husband is a pharmacist, he is a manager of factory and chief of R& D of factory. Hello, thanks for your comment. We will respond to you by email address you provided. Yes, we had success with startup visa applicants. Please contact us directly by a contact form, email or call and we’ll be able to discuss more details. Thanks for your message Rosie. Please contact us through one of the form or by phone and we will contact you directly. After getting the letter of support from an Angel Investor, should the business be incorporated first before applying for Permanent Residence? How does it affect the PR application? Thanks for your comment Shie. Please send us a message in the form on the site or email us and one of our specialists will be able to help you. My name is Hassan Mumin. I am interested in this start up visa program as i have an innovative business idea. I would like to know the success rate of this program and the time it takes to move to Canada. And can you start working with temporary residence instead of the permanent residence which takes longer. And do they accept manufacturing startups. Thank you.